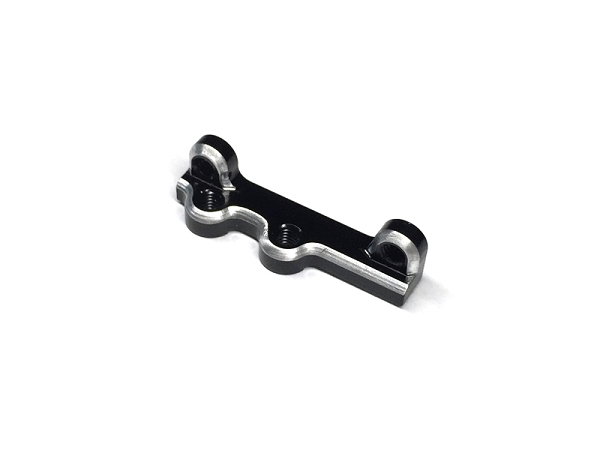 This RSD Aluminum Universal Fan Mount is designed to be used with your XRAY T4 and Yokomo BD7 2016 Line of Vehicles. It works best with 30mm fans such as the R1 Wurks Fan and the WTF Windy. It is designed to be held in place by ONLY 1 screw on the chassis. The more centered hole is for the T4 and the more offset one is for the BD7 2016. It's design is simple, light weight and it makes working on your TC much easier. **THIS FAN MOUNT IS ALSO COMPATIBLE WITH THE RSD TC7 CHASSIS LINE. WILL NOT WORK WITH AE STANDARD CHASSIS UNLESS MODIFIED.